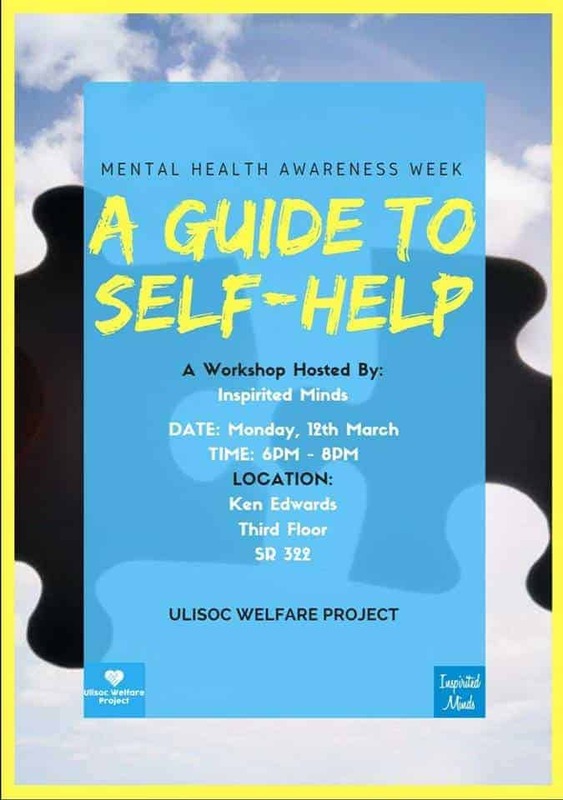 A Guide to Self-Help was a workshop held at Leicester University as part of Islamic Societies Mental Health Awareness Week. 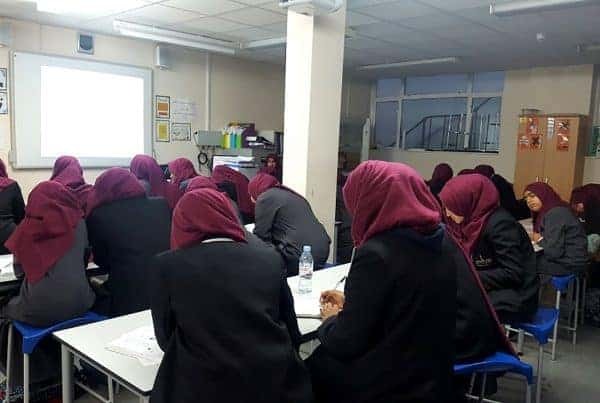 Zahra covered topics such as stress, the physical effects of stress, different coping strategies and using different duas to cope with stress. The attendees were happy with the presentation and felt it was very useful, especially with exam season fast approaching. 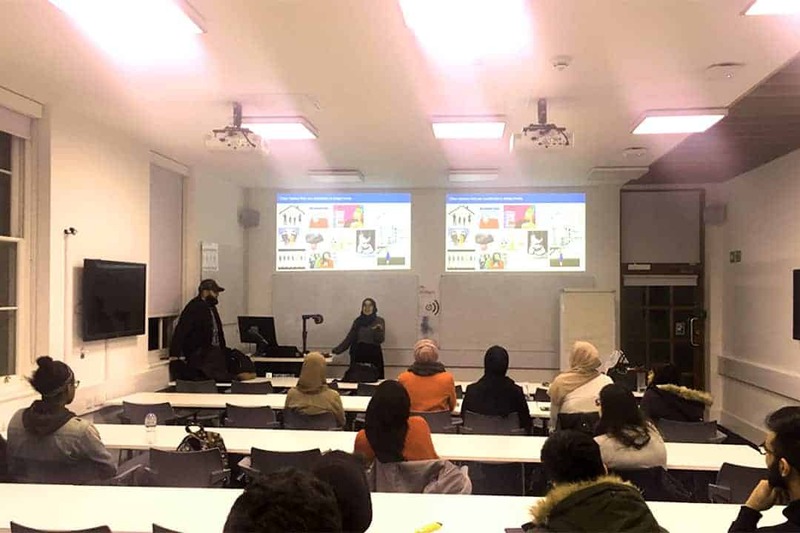 The Islamic Society was also very keen to invite Zahra back in the future to run another event which is testament to the incredible presentation and approachable nature of Zahra’s delivery. Haleema is a student at SOAS studying for a degree in International Relations. She is interested in grassroots activism within the BME community. In her spare time, she enjoys blogging, reading, and baking. 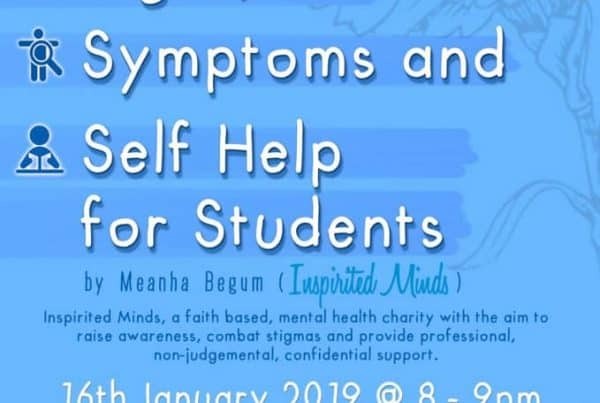 Haleema joined Inspirited Minds as she is passionate about tackling the stigma around mental health in the Muslim community. 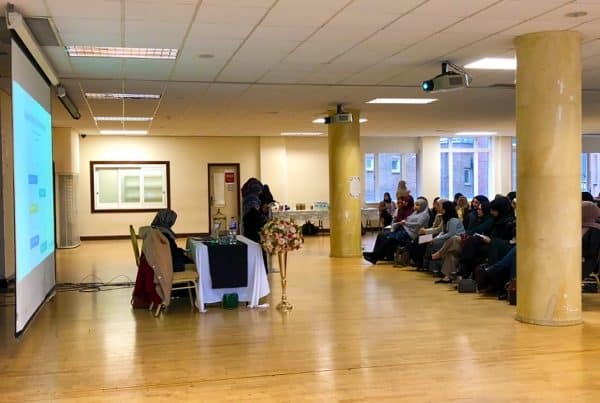 She hopes to make a difference in this regard and wants to encourage a conversation about mental health in mosques and beyond, in order to empower individuals and ensure that nobody suffers in silence. Next Post“Scrupulosity” - I call it hell.